When you think of others before you think of yourself, you are humble. When you are less concerned about what others are thinking of you and more concerned about how they are feeling, you are humble. When you are not concerned about what you are getting form others, but how you can give, you are humble. When you think less of your own popularity and more about lifting other people up, you are humble. 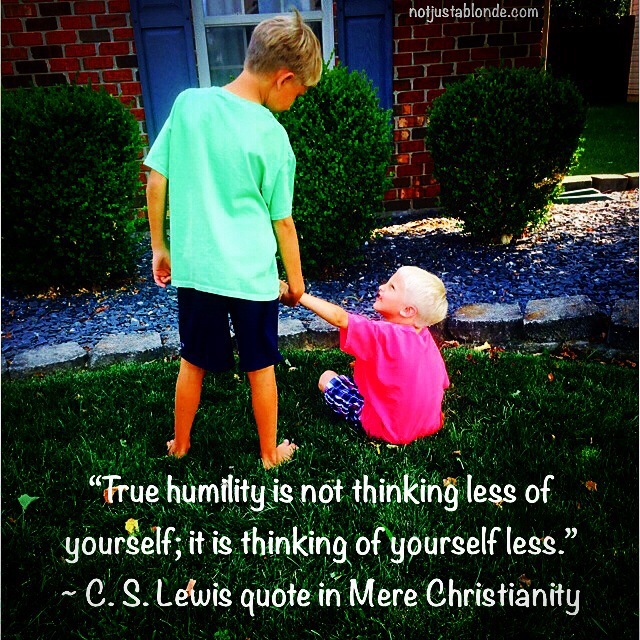 Humility is a state of mind in which we understand we are no more valuable, important or precious than our brother or sister, father or mother, friend or foe! We are humbled when we can finally focus our attention on others and are no longer obsessed with ourselves. Humility is a beautiful act of love.